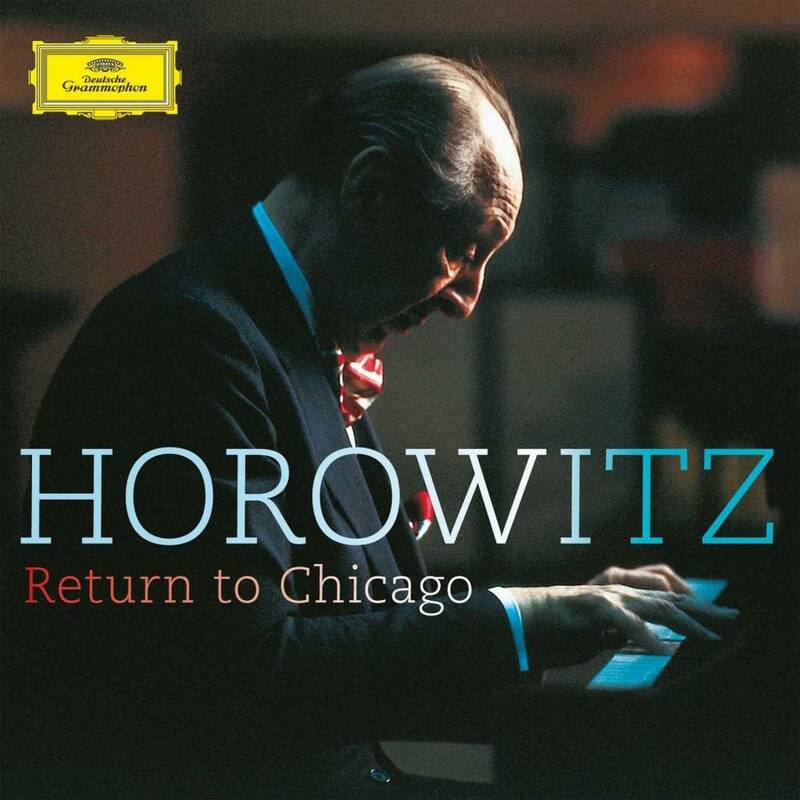 Horowitz was popular in Chicago – between 1928 and 1986 he played there thirty-seven times, having to repeat most of his performances in order to reach as many of his admirers as possible. By 1986 he’d come up with perhaps a better plan: a concert that would be broadcast as a gift to the city of Chicago. It was broadcast locally over Chicago’s premiere classical radio station WFMT. It was broadcast only once more and has not been heard since that time, lying all but forgotten in WFMT’s vaults until producer Jon M. Samuels discovered its existence in October 2013. The recording presents late-period Horowitz, starting with two Scarlatti sonatas before revisiting favorites Mozart and Scriabin. The second half brings new repertoire to the Deutsche Grammophon discography, namely, the Schumann Arabesque in C major, Op. 18, and a Chopin Mazurka in C sharp minor, Op. 63, No. 3. Also included are two interviews with Horowitz that were used as intermission features during the broadcast. The first, with host Norman Pellegrini, was recorded the day before the concert. The second, conducted by Thomas Willis (Senior Music Critic of the Chicago Tribune), was recorded on October 30, 1974 on the occasion of Horowitz’s return to Chicago after a six-year absence.